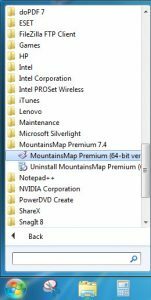 Once MountainsMap® has been downloaded, it needs to be installed. Need to download again? Visit this page. 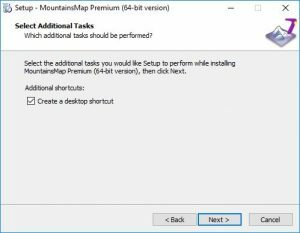 Please note: before installing a new version of MountainsMap®, the uninstallation of all previous versions is recommended (you can do this via Add or remove programs in Windows settings). After clicking it, expand the This PC section on the left, and there should be a Downloads folder here. Double click this file to begin the installation process. 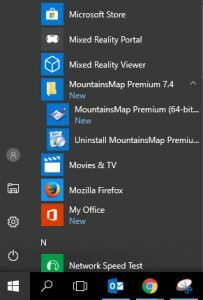 Please note you must have administrator rights to install. 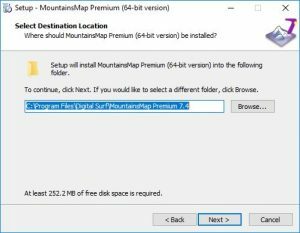 NOTE: If you are seeing the screen below when you double click the install file, then MountainsMap® is already installed on your computer. Please close out of this window by clicking on “No” to cancel installation and proceed to step 4. 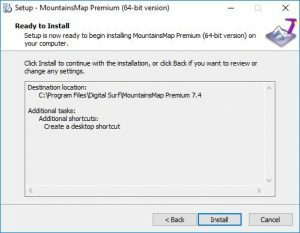 Once again, if you would like to install a new version of MountainsMap® we do recommend you uninstall all other versions. 3. 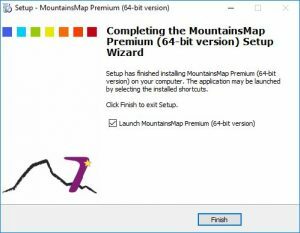 Continue through the install wizard to install MountainsMap®. Enter the installation code you received by email. 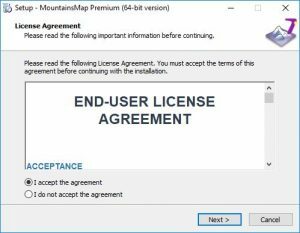 Please accept the End User License Agreement (EULA). 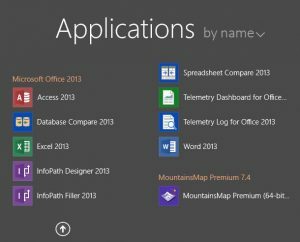 Specify where the installed files will be located. Then click “Next”. We recommend leaving this box checked. Click “Next”. 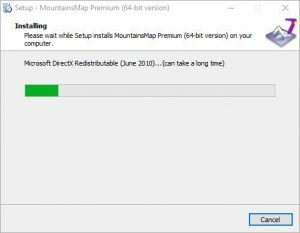 MountainsMap® installation begins. This process can take several minutes. When the installation is done you’ll see this message. Click “Finish” to close the installer.